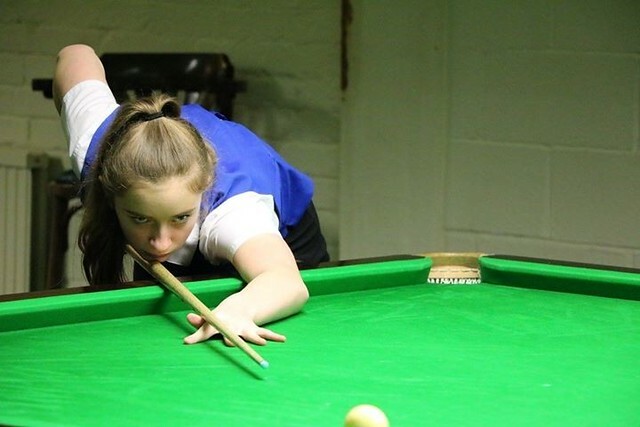 Year 10 student Aimee Benn continues to climb the World Ladies Snooker rankings. Aimee recently competed in the Eden Ladies Masters in Derby. Playing against world ranked players (ranked 9 and 26), Aimee lost her first match but won the second, qualifying for the last 16. The following round saw Aimee drawn against the reigning ladies World Champion and she was unfortunately beaten, but scored points in all of the frames. At 14 years of age, this was an enormous achievement to qualify. Having moved up in the rankings to 29, she will now prepare for her next competition in February. You will soon be able to see an A2 poster of the above photograph on Mr Thornton's sporting 'wall of fame' display in the corridor near M5 that celebrates our pupils' sporting achievements. Please anticipate it!